The one very important message in all learning and teaching today is about personalization, and how to understand it. Student-centered learning has proven to be very effective. Students are not clones and should not be treated like ones, so it is important to think how the outdated factory model of education could be improved, and more choices included to students’ everyday learning experiences. Our world today is very different from the dawn of the industrial world where school systems were created, so the way we prepare students for their unknown future should be changed. Well-rounded contemporary education aims for students to achieve the global competencies: investigate the world, recognize diverse perspectives, effectively communicate ideas and take action to improve conditions. Edudemic has a nice visual about the next step (Web 3.0) in education: schools in the minds of students and parents evolving from their “daycare” status to places where we learn, and where knowledge is socially constructed and contextually reinvented. This increases the purposefulness and meaningfulness of education, but also presents the need for mutual intentionality and accountability – students coming to school with the intention to learn, teachers with the intention to support students’ individual learning. In these times information is available everywhere – hand held devices, computers, books – and the teacher cannot be seen as the source of knowledge, but the facilitator for students’ individual learning and the guide for making good choices about how to use the information. Expanding the teaching profession to cover individual learning support must also change the way we think about teacher training and professional development. Just like their students, teachers have diverse needs for their learning and professional development, and are entitled to their own learner-centered training experiences. Only by strengthening teachers’ learning process we can truly improve their professional competence and ultimately the learning experiences pupils will have. Standards alone are not the solution – there must be room for personalization for all learners regardless their age or educational level. Engaging in the individual learning process enables both teachers and students to build up from standards and achieve the global competencies to thrive in the modern world. All training and professional development (PD) should include the three dimensions of teachers’ professional competency: teaching and instruction, pedagogical knowledge and global reflection. All three dimensions are important and contribute to the teaching-learning situations. The colour in the thirds deepens with layers of professionalism, produced by the teachers’ ongoing learning process. You probably notice how the third part, global reflection, seems to be drifting apart from the two others? That is unfortunately happening too often in training and PD. But excluding global reflection makes it significantly harder for teachers to achieve excellent learning facilitation skills and thrive in their profession. 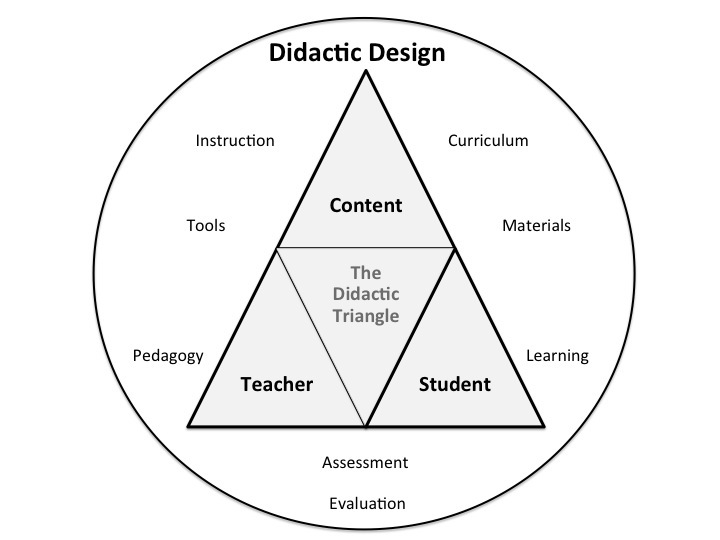 Too often we stay on the first dimension – the practical and concrete classroom experience – in training and PD sessions and talk about the curricula or ready assessments without thinking about the pedagogy behind the practices or the decisions for these specific pedagogical choices. How would you incorporate the global competencies into the classroom experience, if everything is designed and scripted by someone else? And how do you think students will learn to investigate, recognize, communicate and act if they are not active participants in their own learning, and just arrive to school to be instructed and assessed instead of engaging in studies with their curiosity? The underlying philosophies and choices are very important for effective learning experiences! Pedagogical knowledge is the middle dimension of teachers’ learning process, which means it needs to be visited and revisited all the time in order to tie the rapid instructional decisions to the theoretical background we have about teaching, learning and understanding. According to this infograph at TeachThought blog teachers make 1500 educational decisions each day. Pedagogical knowledge helps us as teachers to become aware about our own choices in classroom practice. With solid knowledge of how learning happens and how it can best be supported we are taking a huge leap towards enabling students to be accountable for their own learning. No classroom or group of students is identical to another, so no practices should be adopted without thinking how well they fit into this particular class or group. The third dimension of professionalism – global reflection – combined with the pedagogical knowledge helps teachers to decide what strategies are the best fit in the classroom. Teaching dispositions, values and philosophy belong to global reflection, as well as didactic design, even though it is terminology used mostly in Scandinavia. This third dimension in teachers’ learning process and professionalism is s the big picture of teaching and learning. We only see what we are ready to perceive. Awareness is the first step in everything. For educators it is really important to think about the question “why?”. Changing between the big picture and details helps us analyse teaching and learning, because it relates to the ability of taking different viewpoints to the same issue and trying to see what others see. For teachers this is essential, so that they can offer information in student-sized chunks and relate it to students’ previous knowledge, and thus support students’ learning process. The three dimensions of teachers’ learning process (concrete instruction, pedagogical knowledge and values – or do, learn, think) are present in all teaching-learning situations. They can be visible in the choices and interactions, or veiled in hidden expectations. I want to encourage all teachers and professors to engage in value discussions and joint reflection with colleagues and students to deepen the global reflection and their own professional competence. This slide show is related to the three dimensions of teachers’ learning and professionalism. It was created for Global Education Conference so it discusses teacher training and PD from the viewpoint of global competencies. Kansanen, P., Tirri, K., Meri, M., Krokfors, L., Husu, J., & Jyrhämä, R. (2000).Teachers’ pedagogical thinking. P. Lang. Mansilla, V. B., & Jackson, A. (2011). Educating for global competence: Preparing our youth to engage the world. Asia Society.